Unity Launcher a Windows program. Manage your unity projects and open them with correct Unity3d version. 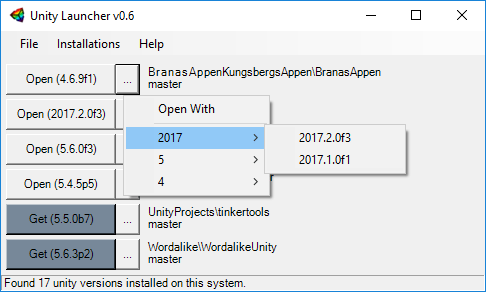 Just drop your project folder into the program and you can launch it with the correct unity version or upgrade it to another version.